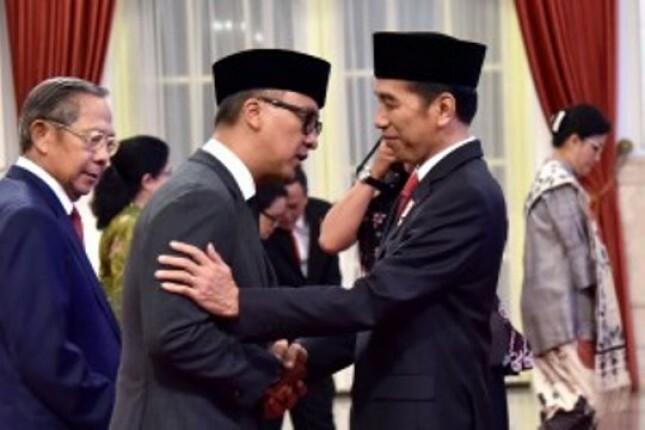 INDUSTRY.co.id - Jakarta - President Joko Widodo immediately gave a special assignment to the Minister of Social Affairs Agus Gumiwang to resolve the handling of earthquake victims in Lombok, West Nusa Tenggara (NTB). The Head of State also considered that Agus Gumiwang served as social minister because when he was in the DPP the Golkar Party dealt with welfare issues as well. "I think our choice is not far off," said the President. President Joko Widodo has installed Agus Gumiwang Kartasasmita officially as Minister of Social Affairs replacing Idrus Marham. This Golkar Party politician was sworn in based on Presidential Decree Number 148p of 2018 concerning the Dismissal and Appointment of the Minister of Social Affairs in the Remaining Term of 2014-2019. The presidential decree took effect from the time of the inauguration and was determined directly by President Joko Widodo on August 24, 2018.